This past summer I spent five weeks volunteering in Romania in Brasov on the Oyster Worldwide childcare volunteering programme. The work was quite possibly the most fulfilling, challenging and fun thing I’ve ever done. I divided my time between three children’s homes: one for abandoned young girls, one for physically disabled children, and one for children with behavioural problems. My role was to occupy these children. The homes, although staffed by loving passionate workers, are completely understaffed. And those workers who are there, work relentlessly to sort out admin, finance, food and safety. So, who plays with the kids? You do! The work does require an adapting and fearless personality, for you will be confronted with things that are completely new and often upsetting for you. However, that isn’t to say it’s not amazing fun: I spent my days playing football, drawing, teaching English, having my nails painted, making bracelets, helping kids walk and, essentially, acting as a human climbing frame. I encountered the cutest, sweetest, children I’ll ever meet, and made some real bonds that I will never forget. Romania as a nation is a bit of a mystery to those in Northern and Western Europe, particularly in England where certain sectors of the media treat the country and its people with great suspicion. But Romania needn’t be a mystery, nor should it be treated with suspicion. Instead, it is quite simply one of the most beautiful, welcoming and curious countries I’ve had the privilege of visiting. Brasov, from its traditional settlements and gorgeous renaissance and gothic architecture, to the more recent communist developments. And from the other side, hills roll for miles and miles, providing an pretty sublime scene of greenery. The volunteer flat sits at the foot of Mount Tâmpa (I could see the sign from my bed). The flat is cosy and well-equipped, and quite literally a three minute walk from all the town’s action. Your Oyster rep Razvan lives upstairs and provides a constant source of humour, help and, er, nagging. He completely dedicates himself to you, putting himself out there and working tirelessly to make your stay inch perfect. He’s your shift-shaping friend and boss. And if, like me, you’re lucky enough to have lovely flatmates (Oyster tends only to attract the best) then that really adds to it: it was great having interesting people to chat, cook, socialise and watch the World Cup with. Weekends are spent however you please. The work is full-on, so quite often I felt a strong desire to slouch and spend the day in bed. Yet, I still managed to visit castles, fortresses, museums, churches and bars. You are able to take day trips to Sighisoara, Sibiu and other neighbouring towns. It’s also really worth extending your trip to see some of Romania’s other beauties, including Timisoara which is one of the most vibrant cities I’ve ever visited. 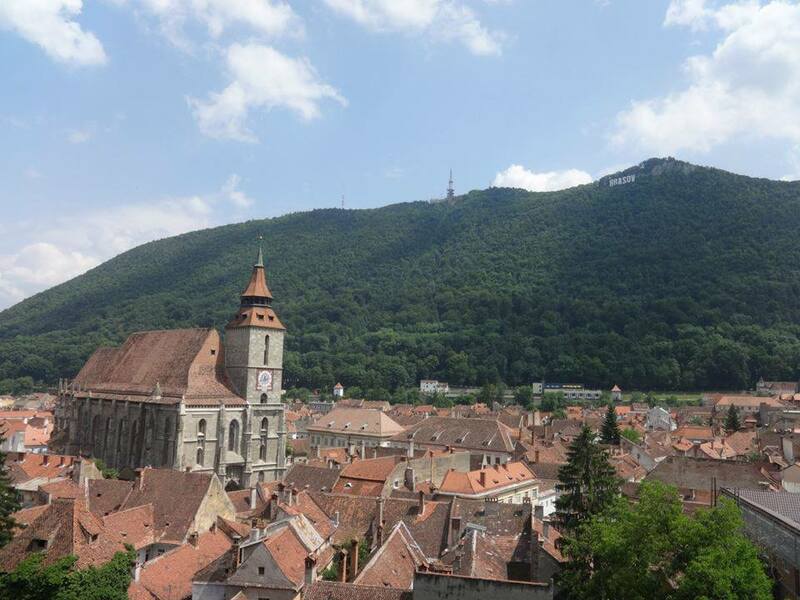 There’s loads to do in and around Brasov itself. Bran Castle is fascinating and I’d really recommend checking out the Brasov art museum for a mere 17p. Naturally, the food in Brasov is excellent and varied, and the beer is really good. My time in Brasov was an unforgettable experience, one that required hard work but offered never-ending rewards. It was eye-opening, moving, and really really enriching. I had initial concerns over whether I, a privileged English teenager, was to pass through these homes for my own life experience. That is simply not the case: this isn’t orphanage tourism, this is a job that makes an impact on the children with whom you work. It provides them with support they’d otherwise not receive, and it does so in a responsible and sensitive manner that puts the children first. Romania is a developing country, but there is so much work to be done and you can be an invaluable part of that.